There are many Network Interfaces exist in your computer other than Wireless Network Connection and Local Area Connection. 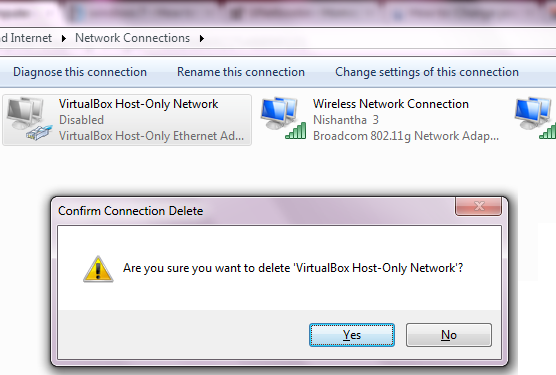 This can be happened, when you select tunneling for internet browsing or adding Virtual WiFi Networks etc. 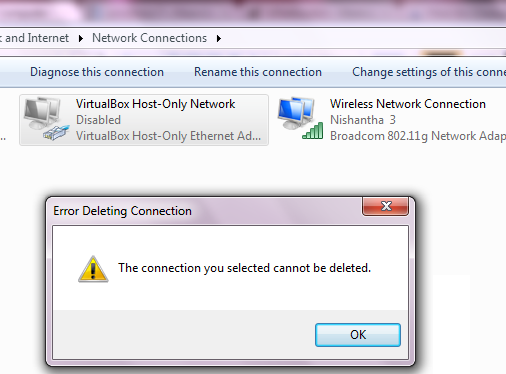 However, when you go to the Network Sharing Center and Select unwanted Network Interfaces try to delete them . But, you will see it can not be deleted. Click Yes to confirm Delete. But it says The connection you select cannot be deleted. Let us lean about how to remove these Network Intefaces. 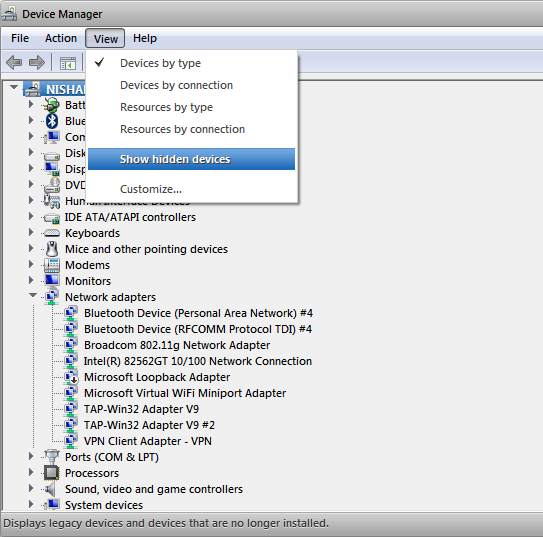 Then it will open the Device Manager. Then go to Control Panel > Network and Sharing Center > select change adapter settings. 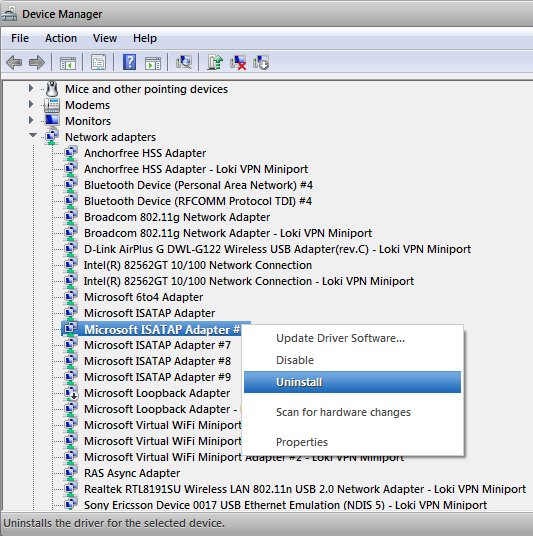 Now you can see that the unwanted Network Interfaces were removed from your PC. i am visiting this website dailly and take good information from here all the time. Do you've any? Kindly allow me recognize so that I may just subscribe. Thanks. My blog has a lot of completely unique content I've either authored myself or outsourced but it looks like a lot of it is popping it up all over the web without my authorization. Do you know any ways to help stop content from being ripped off? I'd genuinely appreciate it.